If you are a graduate and you are looking for a Job in BSNL, then check below recruitment in BSNLfor its various post in across India. BSNL, formed in October, 2000, is world's 7th largest telecommunications company providingcomprehensive range of telecom services in India: Wireline, CDMA mobile, GSM mobile,Internet, Broadband, Carrier service, MPLS-VPN, VSAT, VoIP services, IN Services etc.Within a span of five years it has become one of the largest public sector units in India. BSNL has installed Quality Telecom Network in the country and now focusing on improving it,expanding the network, introducing new telecom services with ICT applications in villages andwinning customer confidence. Today, it has about 47.3 million line basic telephone capacity, 4million WLL capacity, 20.1 Million GSM Capacity, more than 37382 fixed exchanges, 18000BTS, 287 Satellite Stations, 480196 Rkm of OFC Cable, 63730 Rkm of Microwave Networkconnecting 602 Districts, 7330 cities/towns and 5.5 Lakhs villages. Bsnl Mobile is major provider of GSM cellular mobile services under the brand name Cellone. BSNL provides complete telecom services solution to enterprise customers including MPLS, P2P and Internet leased lines. It provides fixedline services and landline using CDMA technology and its extensive optical fiber network. BSNL provides Internet access services through dial-up connection as prepaid, NetOne as Postpaid and DataOne as BSNL Broadband. BSNL offers value-added services, such as Free Phone Service (FPH), India Telephone Card (Prepaid card), Account Card Calling (ACC), Virtual Private Network (VPN), Tele-voting, Premium Rate Service (PRM), Universal Access Number (UAN). BSNL also offers the IPTV which enables customers to watch television through internet and Voice and Video Over Internet Protocol (VVoIP). 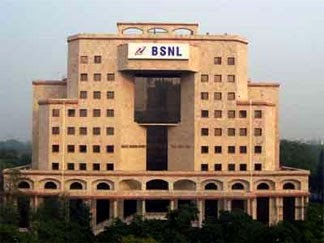 In 2007, BSNL announced plans for providing 5 million broadband connectivity and secured 80% of the INR 25 billion rural telephony project of Government of India. On 20 March 2009, BSNL launched blackberry services across India. BSNL paid Rs. 101.87 billion for 3G spectrum in 2010. As of 2011, BSNL offers coverage in over 800 cities across India. BSNL launched in 2012 a 3G wireless pocket router named Winknet Mf50. BSNL 3G provides HSPA+ service with highest speed of 21.1 Mbit/s downlink and 5.76 Mbit/s uplink.